Thank you for dropping by Lawrenceville Auto Glass Network, the best auto glass company in Lawrenceville. We are pleased to bring the Lawrenceville area a high quality auto glass service offering for all your auto glass needs. Whether you’re looking for a single vehicle or many, a small repair or a full out replacement, you can depend on us. ​Lawrenceville Auto Glass Network started out as a small operation with one ambition, to become the areas number one source of quality auto glass repair and replacement. Through our years of operation we have expanded not only our capabilities, but the offering which we bring to the area. We have always believe in providing high quality work at an affordable price, and aim to be the cities number one auto glass offering. For all your vehicles glass needs, we invite you to come put our service, and our dedication to our craft to the test. ​Each service we provide to Lawrenceville area residents are a testament to our qualifications, and that’s not something we take lightly. We know that the work left behind is what speaks volumes to our capabilities, and therefore aim to bring you service that surpasses your expectations, and leaves you feeling safe with a vehicle you can depend on. No matter the extent of damage, or the number of vehicles you need repaired, you can always lean on the service expertise brought to you by the professionals at Lawrenceville Auto Glass Network. ​Our mobile auto glass service is dedicated to bringing you what you need where you are when you can’t make your way to us. We know the importance of your vehicle, and when you’re stuck in a situation where you can’t drive, you need the quality work you seek brought to you, this is why we deliver a service that is just as efficient as our on-site offerings, and at an affordable prices. Save time and money when you use our mobile service in Lawrenceville and the surrounding Gwinnett county. Pay attention to your home, your family, and your responsibilities, while we handle the repair or replacement of your vehicle glass. No matter the service you need, our on-the-go auto glass services are a fast, easy, reliable, and affordable option. ​Whether facing a chip or crack in your auto glass, taking care of the issue while it is small and easily manageable is the simplest and most cost effective way of saving you hassle and a headache in the future. Chipped auto glass can not only be annoying on a windshield, but lead to bigger problems if left unattended. Cracked windshields spread faster than you realize when not addressed. We bring you a wide range of auto glass services to ensure that you any repair you need, is one we can serve. Whether your back windows, passenger or drivers windows or otherwise, you can rely on our professionals to bring you the results you need to quickly and effectively manage the issue, and get you back out on to the road. If you are in Lawrenceville or metro Atlanta and need auto glass repair, we are just a hop, skip, and a jump away. ​Depending on the level of damage to your vehicle's glass, sometimes outright replacement may be the best option, and when looking at getting all new glass installed in your vehicle, you want to be sure that you can get the services you need at a price point you can live with. Lawrenceville Auto Glass Network brings you a wide selection of services in custom glass, OEM, and manufacturers glass to ensure that you can operate within your budget, while still receiving the highest quality work possible in your . We offer the best auto glass services at the best prices in Gwinnett county. If you are not sure what you need or have questions, simply give us a call. ​Your windshield is not only one of the most important piece of your auto glass, it can also be the most costly to have repaired, depending on where you go. At Lawrenceville Auto Glass Network we aim to bring you this vital windshield repair service at a price you can afford. Bringing you a wide selection of material choices to ensure that you can operate in your budget, while continually bringing services that aim to lead the industry in quality and reliability. Don’t make sacrifices in quality when it comes to price, call Lawrenceville Auto Glass Network where we give you both in a service that will have you leaving with a smile on your face. ​Replacing the glass in your windshield outright can be the costliest of all auto glass services, and often one that customers dread needing to have done. At Lawrenceville Auto Glass Network we attempt to take some of the sting out of the service by offering high quality windshield replacement that does not cost an arm and a leg to have done. We offer this affordable windshield replacement in Lawrenceville and Northeast Atlanta. To find out more about how we can serve you with your windshield replacement or other auto glass replacement, give us a call today. ​We bring you the means to bring the care and attention to all of your vehicles, no matter the size of your fleet. Whether you operate a taxi stand, a limousine service, or a fleet of commercial trucks, you can rely on Lawrenceville Auto Glass Network to bring you the uniform quality you’d expect while working with you to make your fleet service one that you can live with financially. Our commercial auto glass service is the best in Gwinnett county. “As a single mom, I can’t be without my car. Thankfully Lawrenceville Auto Glass Network offered a mobile service. I stayed home with the kids while they did the work, super convenient for me.” – Rachel R.
“After getting a chip in my windshield, I went to see Lawrenceville Auto Glass Network, they had the work done in no time, and it cost me half of what I expected.” – Jillian H.
“I needed a full replacement for my windshield. Lawrenceville Auto Glass Network connected me with an OEM supplier, and the work was done in days. You can’t even tell the difference from the factory glass.” – Josh D.
“I have been using Lawrenceville Auto Glass Network for my commercial needs for years, they are the only company I count on for all my glass work.” – Harold I. 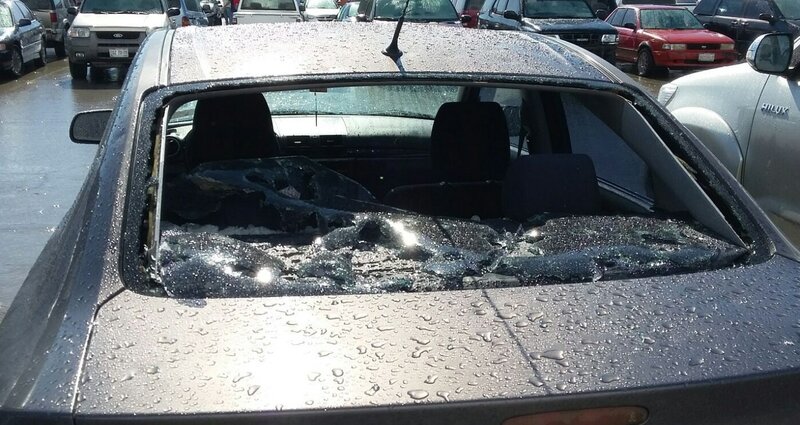 “My son hit a home run in our yard, right into the passenger window of my car. Lawrenceville Auto Glass Network brought their mobile service to my home and replaced the window in no time. Will definitely call them again if needed.” – Shawn K.
​We look forward to the opportunity to bring you our quality work, and have representatives standing by to take your call. When you need auto glass work in the Lawrenceville area, and are looking for a company that stands by it’s work, aiming to bring you a balance of quality and affordability, then we invite you to call into Lawrenceville Auto Glass Network today. We proudly serve Lawrenceville, Gwinnett County, and the surrounding area.